As 2017 progresses, so do the many digital marketing strategies in the realm of the World Wide Web. Technology will continue to deliver new ways for brands and customers to engage with each other. However, in the bedlam of consumable content that exists online, brand marketers can no longer rely on just mass media advertising campaigns to increase brand awareness and engage their audiences. This is where the two key elements of digital marketing come in, namely, content and communication. The power of content in today’s day and age is as vast as it is unprecedented. The internet doesn’t want ads – over 200 million people use Ad Block today, and it doesn’t want to be pitched anything. What it wants is information, entertainment, and content that it can share and consume. And with the volatile nature of the internet, it’s true that as technology changes and new trends surface, content might evolve, but it will never be unnecessary. How content is communicated is paramount. Forbes magazine claims that video content is the future of digital marketing, and major players such as GoPro have utilized this facet to its fullest. GoPro videos are everywhere – their collaborations with action protégés to produce a series of visually remarkable videos that communicate the sense of adrenaline and adventure their audience is looking for, garner millions of views on YouTube, engaging consumers from all over the world. The best kind of content campaigns are always communicated with a mixture of proven methods and innovation. At Insomniacs, we amalgamate engaging content and fluid communication to create an unwavering and fail-proof formula. This formula has been used by us to not just meet, but exceed client expectations and create a content-driven niche that delivers on both quality and numbers. 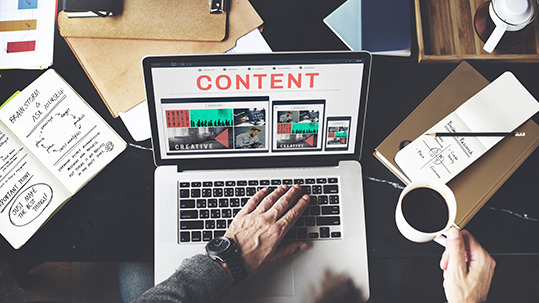 Whether you’re a major player or a newbie, content strategy and how it’s communicated is an essential brick in the multifaceted wall that is digital marketing.